Dr. Jamie Cesaretti is recognized among Castle Connolly Top Doctors® for Jacksonville, FL region in 2016. 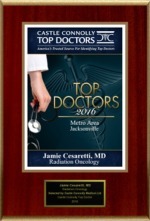 A Jacksonville, FL Board Certified physician specializing in Radiation Oncology, Dr. Jamie Cesaretti, is a Castle Connolly Top Doctor for 2016. 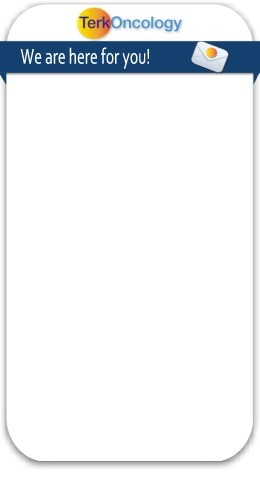 Jacksonville, FL December 10, 2016 - Castle Connolly Medical Ltd., America's trusted source for identifying Top Doctors, has selected Jacksonville's Radiation Oncology specialist Dr. Jamie Cesaretti for inclusion in its highly selective list of Castle Connolly Top Doctors this year.